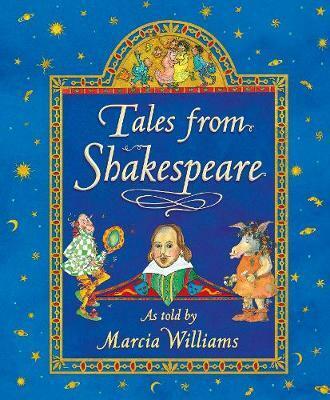 Marcia Williams retells fourteen of Shakespeare's best-loved plays in her trademark witty, accessible style. Take your seats in the Globe Theatre as Marcia Williams presents fourteen of Shakespeare's most famous plays. From the heartbreaking tragedy of Romeo and Juliet to Puck's hilarious escapades in A Midsummer Night's Dream, Marcia brings Shakespeare's stories vividly to life.